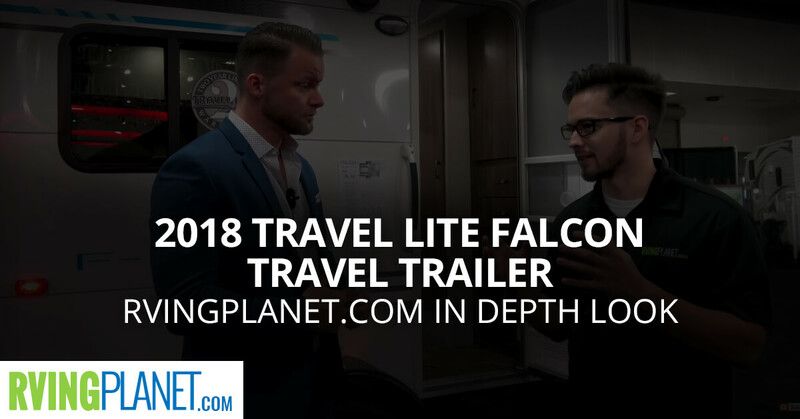 View All Travel Lite Falcon Travel Trailer Floorplans! Nate: Hi, guys. This is Nate with RVing Planet. Mark: And Mark with campgroundviews.com. Nate: And we’re here to show you the new Falcon F-Lite. Dustin: My name is Dustin Johns. I’m the president and owner of Travel Lite RV. Nate: Dustin, so we’re looking at this Travel Lite Falcon F Lite. Tell me what makes this new brand unique? Dustin: Well, with the success of the Falcon line that we’ve had it’s to really you know blown up and it’s been fantastic, and I had several requests from customers looking for units right around 2500 and less, maybe even below 2000 pounds but still have some style. And with the Falcon F Lite 14 that’s right here beside us, the weight of this is only 1692 pounds and that comes with the full standing shower, you get a flush toilet, 3-way refrigerator, you get molded granite countertops that are just beautiful, we’ve got blue LED accent lights in there for like a nightlight that are just gorgeous, and even the interiors are leather and they’re stitched. Nate: Who would benefit most from this? Because you’re saying the height and the low weight and the style? Dustin: So we have three different floor plans we’re offering right now, and all of them … the heaviest one is 2088 pounds and the lowest one 1692. So this units mostly geared towards someone who has a tow vehicle or an SUV like an X3 BMW or something along those lines, and they don’t want to upgrade or change their car just to get an RV. And they’re not very expensive, the MSRP starts at 139. Nate: That’s great. What are your top three favorite features on the F Lite? Dustin: On the F Lite I like the countertops and the lighting inside. I think that they just add a nice touch. And I also like the diamond plate on the front, I think that a lot of brands kind of skimp on that. And we went full. Nate: Diamond plate, so that’s protection from rocks and kicks up from your tow vehicle. 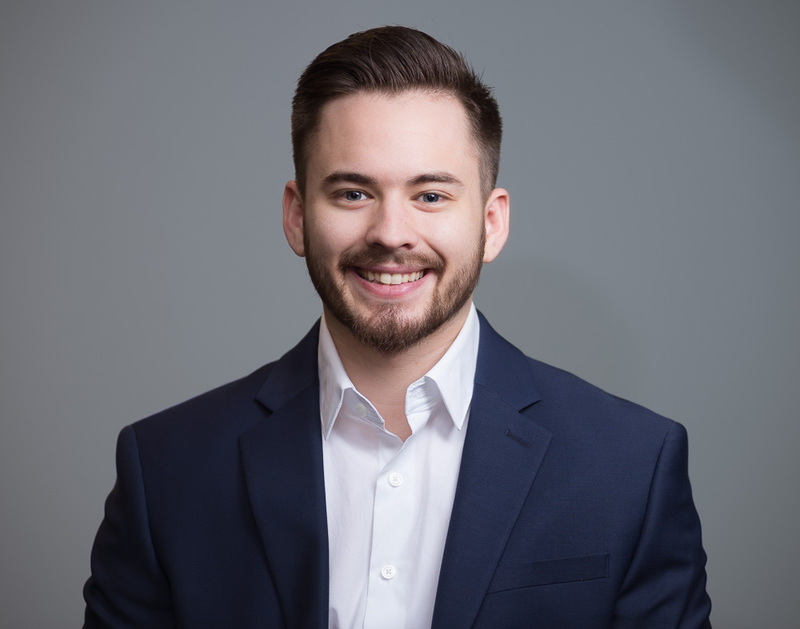 Dustin: Absolutely, because the first … you even think about your car, the bumper a lot of times if you’ve had it for several years has a little rock chips out of it. This prevents that, and I like that as well. And also the fact that it’s 6’1″ inside and it’s still only 1692 pounds. And like I said having a full stand-up shower and a unit that’s under 1700 pounds is pretty incredible. So that’d be my favorite stuff. Nate: All right. Guys, if you want to check out the Falcon F Lite, you can head over to rvingplanet.com. A born and raised Michigander, Nate has been exposed to the great outdoors and all it has to offer. While Nate never had the opportunity to go camping in an RV as a child it was his first RV show that had him hooked on the RVing lifestyle and the freedom and experiences it has to offer young and old alike.